Audience: We anticipate that you are a programmer in possession of a developer API key. If you want to buy a plan with access to the API, please visit the plans page and consider the API plan, or contact our sales team for more details. It is assumed that the audience is aware of security issues associated with remote API access over the internet. Please note that any GET style URLs are used in this documentation for the purpose of providing clear, concise examples to developers and should not be used to make the requests to the API. We have provided POST request dialogues for this purpose. This page is designed for the standard API authorisation available on Platinum (Legacy) and API plans. If you wish to write an OpenApps application, we suggest you start with this guide, and then progress to the OpenApps specific documentation. For in depth technical detail about the API, please visit the API reference page. The Majestic API is available on two endpoints – a Developer API with an older, limited version of our index intended for development, and an Internal/Reseller API which uses the resources on your subscription to query our live data sets. Our website accesses our Fresh and Historic Indexes in a very similar manner to the public API. We therefore suggest familiarising yourself with the website to assist development and help support personnel to deal with any of your queries. Our API is based on HTTP. An HTTP GET or POST request is sent from your application to one of the two endpoints discussed above. This endpoint returns a response synchronously. For some commands, you may be required to make further HTTP requests to download the data requested. What does a response looks like? Following your HTTP GET or POST request, our server will return a response in either XML or JSON. Our JSON format is more humanly readable, but comes at the cost of bandwidth. We therefore advise users to maximise performance by using XML. We have provided an example of a call to GetIndexItemInfo and responses in both XML and JSON. 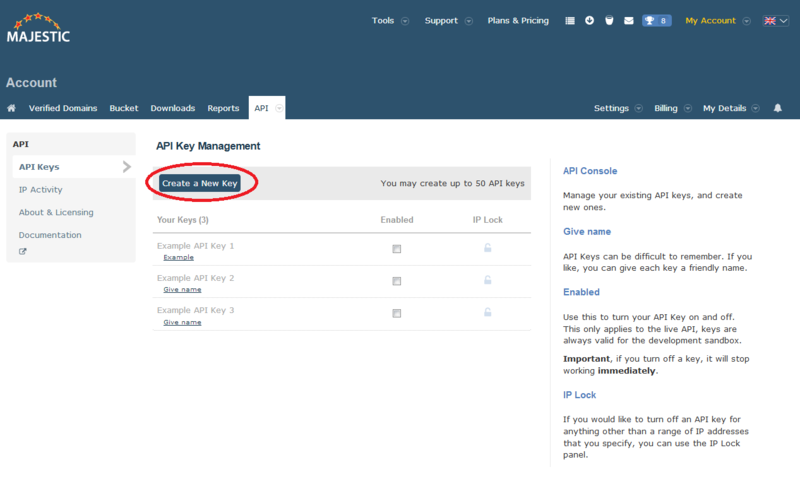 To use the API, you will need to have an account with a Platinum (Legacy) or API plan and generate an API key. 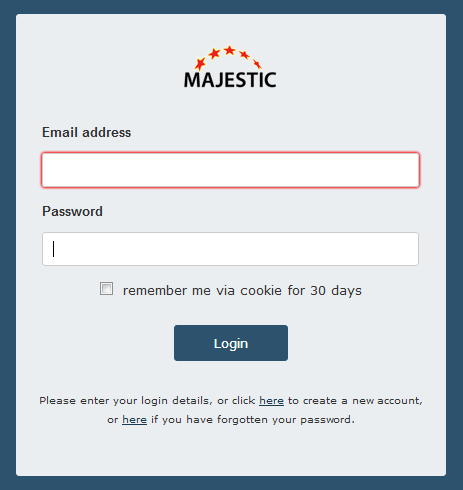 Sign into your Majestic account. 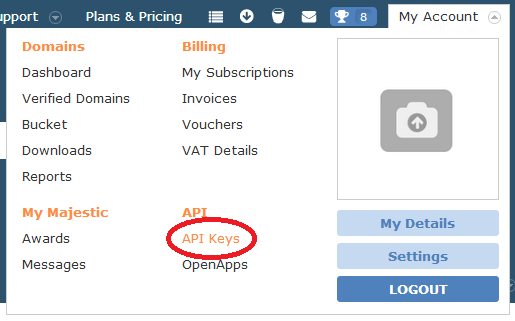 Select My Account > API Keys. Select Create a New Key. Add your API key, specify the index and add any other URLs to compare to the form below and send a POST request via the buttons to test the developer endpoint for GetIndexItemInfo. For other available parameters, please check the GetIndexItemInfo command documentation. Note: these URLs are provided only for demonstration. We would advise making the request to the API via POST using the buttons below. Want to get to know the API a little better? Check out the API reference page. For a list of all available commands, with examples, descriptions and parameters, look at the commands section. We also provide API connectors in a number of different languages, which can be downloaded through our GitHub account to help you get started. For more information about access to the Majestic API suite, visit our Plans & Pricing page.